It’s holiday season and everyone is looking for presents to buy for their loved ones. Every shop keeper is considering the same issues: how to be different from the rest and how to sell more. For the buyer, the advantage of the hospitality industry is its diverse offer that enables everyone to find something to their taste. Everyone will gladly try some new meals and foreign cuisines. But for the caterers, the competition is quite big. So what is the best way to present a restaurant’s offer and to distinguish yourself from others? We have already answered this question several times, but the old Latin phrase says that repetition is the mother of learning. The correct answer is the daShef digital menu! There’s nothing nicer than seeing a photo of a delicious meal except for that delicious meal being served in front of you. In that moment, the satisfaction is couldn’t be greater. The daShef digital menu will provide precisely that ‘mmmm’ effect to your guest. Using the menu, you will present the description, a photograph and maybe even a video of the meal preparation. Your guest will order it, happily eat it and then he will enjoy sitting in your restaurant for a while longer. You’re slowly sweating because you have counted the revenue you could have earned on that table in that time but your guest is not planning to leave any time soon. 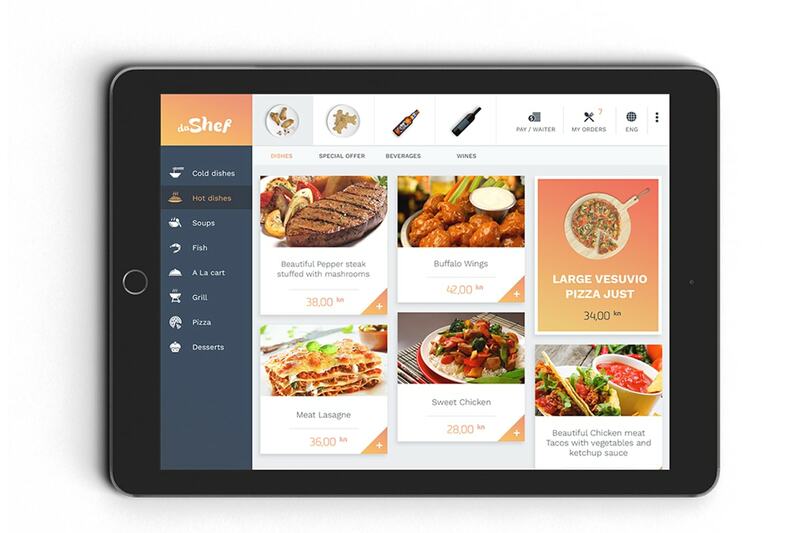 But if you use the full marketing potential of the daShef digital menu, the main course does not have to be the only thing your guest will order and the digital menus can pay for themselves. It’s possible to add recommendations below each meal and drink on the digital menu and in such way suggest to the guests which drink fits the best with the meal he ordered or which dessert will finish the rhapsody of flavours he has just tasted in your restaurant. This brings us to the second ‘bird’: the potential sponsor. 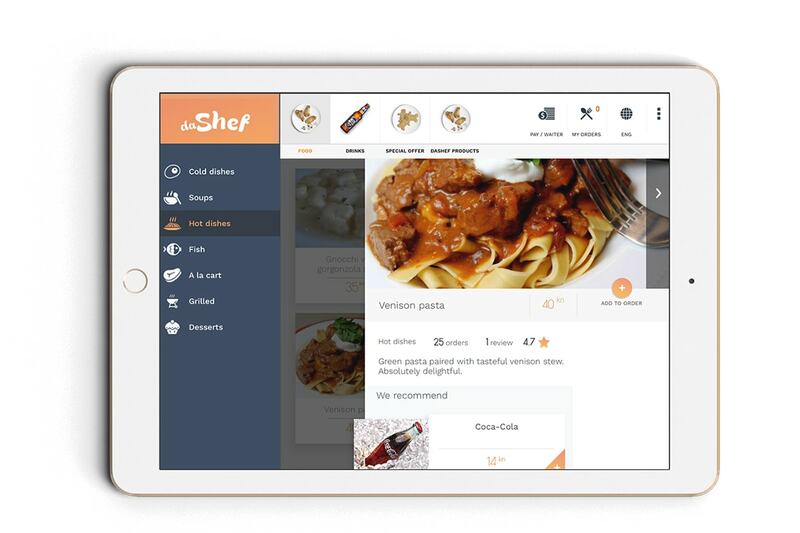 Seeing as the contents of the digital menu can be presented with various options, it is ideal for producers and distributors who can advertise their products using the menu and this won’t be a case of direct marketing, but a suggestion from what is possibly their favorite restaurant. The daShef digital menu is arranged in such a way that your offer is presented as clearly as possible. There are categories inside the main sections and their purpose is to make the menu as user friendly for the guest as possible. The categories can contain a countless number of items, which makes it possible to present your entire offer. 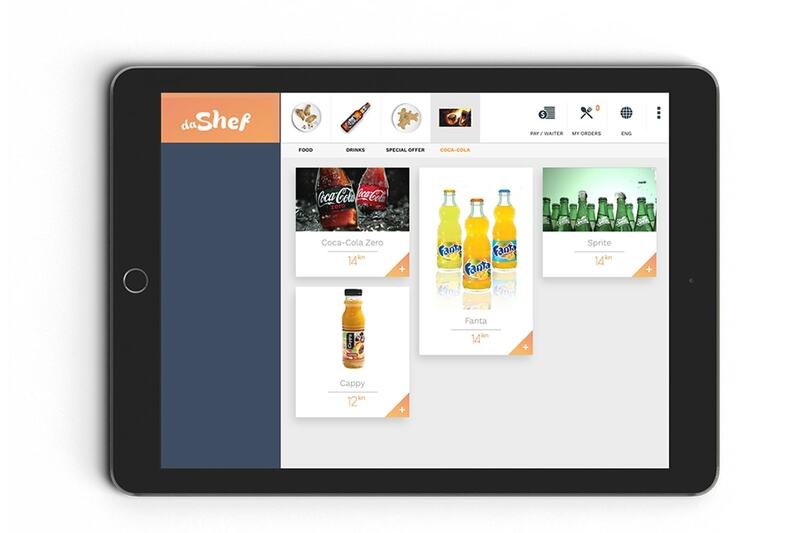 This is where you can use one more marketing potential of the daShef digital menu. For sponsors who are willing to invest a little bit more you can create a special section reserved exclusively for their products. Make sure that the photographs are visually similar to the other ones on your menu and everything will be very subtle. The colder days have arrived and we all love to warm up by drinking good tea, mulled wine or eating some good traditional holiday meal. 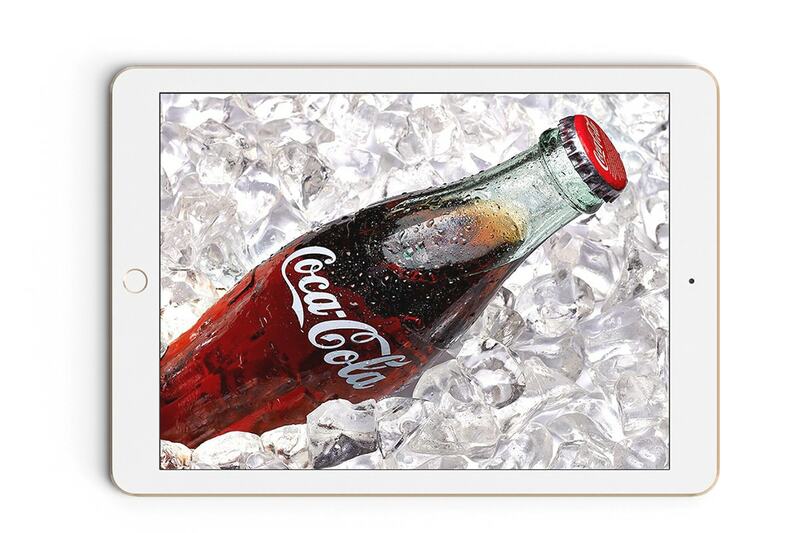 The digital menu gives you the possibility to highlight specific foods and drinks inside the categories. 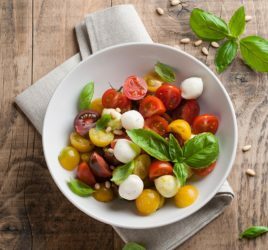 In just a few clicks your holiday meal, mulled wine or tea will be at the top of a category, highlighted in a different colour and appearing a bit larger that the other items like the large Vesuvio pizza on the photograph below. 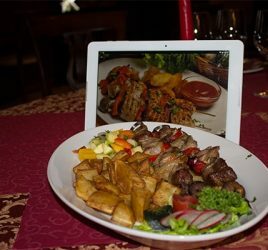 This way you can promote a higher consumption of trending meals and drinks, which is one other interesting marketing potential of the daShef digital menu. Why not use it and pay off the monthly licences or even the tablets? We have saved the best for last and we can say it is a truly exclusive offer for your sponsor. Generally speaking, screensavers were initially created for plasma monitor protection, while today they are used mostly for showing entertaining content. The daShef digital menu screensavers can be used to present you sponsor’s content in various time intervals, like a slideshow. Just like any other screensaver, the one on the daShef digital menu also covers the whole screen of the tablet leaving enough space to display the content. Using various combinations of the marketing possibilities of the daShef digital menu, create sponsor packages and pay off your restaurant’s digital presentation!